Marketing folks like to talk about user experience (UX) and customer experience (CX). We even devoted an entire article to the differences between the two over on our customer loyalty and engagement blog. UX and CX are built around the idea of creating the best possible path to get people what they're looking for. It's about creating a great experience with a specific product (UX) and with a brand (CX). Companies are spending millions of dollars on research and design to make better products and services that cater to exactly what the customer wants. Employers are beginning to sniff around the same ideas. Is there such a thing as an optimal employee experience? As such, there's now a lot of chatter about the Employee Experience. That's right. It's capitalized now. This article is going to talk about Employee Experience as it's being defined by industry experts. What does it entail, and what can you do to get started in it? Employee Experience is the intentional design of an organization to optimize employee performance, engagement and personal satisfaction and minimize churn. That's our definition. Some, like Wikipedia's, will tie it directly back into customer satisfaction. 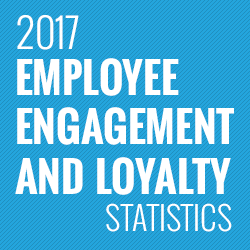 Of course that's the goal, but we don’t think you can measure employee engagement entirely by customer engagement. The two are tied together. The good news is over time, as more employees become engaged and excited, customer satisfaction will rise naturally. We'll talk more about that, and several other returns on employee engagement, below. So, back to Employee Experience. It's not just being good to your employees. That's valuable, but Employee Experience is more intentional about what an employee goes through from application all the way through hiring, performing, and advancing. Some even map out what happens post-churn, as boomerang employees are proving to be a low-cost, easy-implementation option for open spots. Employee Experience isn't necessarily about fancy offices and other lavish perks, as Matthew Wride from Decision Wise points out. He says, "these kinds of incentives do very little to engage employees or to solve core business problems." He's right. Lavish employee perks have a place in the employee ecosystem, but they're not the core. Used strategically, they can add value and alleviate certain problems. But these alone do not make for a valuable employee experience. Think of it like a puzzle. Not every piece is equally sized or spaced, but placed together, they form a clear, complete picture. A great Employee Experience can happen organically, but most of the time there's a level of intent built in. Richard Branson is famous for saying the customer comes second after his employees, and Zappos is more famous for its treatment of workers than its shoes. If all you have is the intention of building an employee-centric company, that's a great start. But a true Employee Experience requires a little more proactive planning. One way to begin? Look at where you're losing employees. Are they consistently from a certain department? Or maybe they're leaving after a common time period? Create a plan to get future employees away from whatever it may be that's causing them to churn, and build that process into your ongoing experience. Some instances may call for a broad change, like a new corporate perk or an alteration to the onboarding process. Others may be small and oddly specific - like placing content on a breakroom TV screen. Kerry Bodine, formerly of Forrester, writes about how one company did just that to improve inter-office communication. Employees were all sitting facing a blank screen, which the company used to promote events and important announcements. Oracle has a lengthy white paper with some great details on Employee Journey Mapping. A breaking point may be day one. We know, from anecdotal evidence, that first days are often a rather poor experience. The manager is not in the office. The laptop is not ready. The team is elsewhere in an offsite meeting. Nobody has thought about a clear assignment for the first weeks. There has been a reorganisation, but it was forgotten to inform the new hire. That's one specific example that could be improved if someone would just cast a critical eye its way. And that's what much of Employee Experience is - finding solutions to the potholes that keep employees from reaching their maximum potential and performance. If you're here, reading this, then you obviously give a damn about your employees. You should, you're probably in HR. Humans are literally part of the job title. Giving a damn isn't just about creating warm fuzzies anymore. We know now that there's a big time return on a great employee experience. Engaged employees stay longer, work harder, internalize the company's values and goals, and do the small things that bring in big results. All of those pay off with customers, who'll spend more, more frequently, over longer periods of time. A major part of the Customer Experience is engaged employees. One often results in the other, as evidenced by a boatload of stats you can find on our employee engagement stats page. 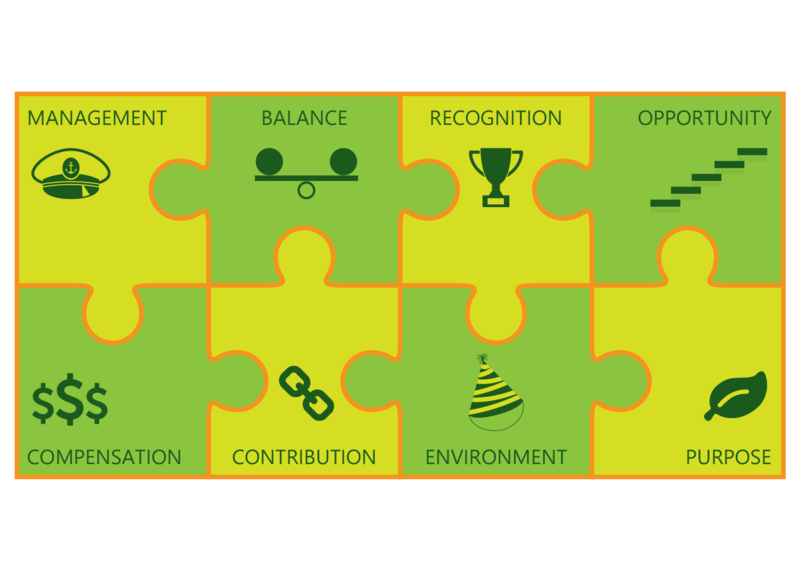 Another positive to a great employee experience: a de-emphasis on core compensation. Always pay your employees fairly, of course, but you'll find that as their satisfaction and pride in their job grows, they'll be less likely to skip out for a higher paying job. 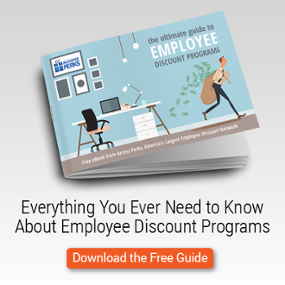 They'll see the total value of being with your organization, instead of just the paycheck twice a month. One final benefit of a great employee experience is the company will be unlikely to appear in the news for some sort of crisis like the ones faced by Uber and United in recent weeks, as Maritz points out on its blog. When employees are unhappy in arguably toxic workplaces, there is a decided drop in the quality of the customer experience — causing satisfaction and loyalty to rapidly fall alongside revenue and market value. Not getting in deep trouble is a good reason to do something. Making lots of money is an even better one. Building something that improves lives and helps people reach their potential? That's the best reason of all, and that's what being intentional about your Employee Experience can do.